This article aims to examine the mobile health (mHealth) in education articles in journals covered by the SSCI and SCI-EXPANDED indices between 2000-2016. Five hundred and ninety-four (594) articles have been analyzed with a systematic review method. The change of the articles by year, the distribution according to the countries, universities, authors, citation analysis, and research fields were examined. As a result of this research, it was determined that the articles and citations have tended to increase rapidly after 2012. The US plays a pioneering role in this field, the universities in the USA publish most of the articles on the subject, and the USA-based authors dominate the field. In addition, it has been determined that mHealth-related articles tend to increase in undeveloped and developing countries, where mHealth projects are concentrated. Finally, based on research findings, some suggestions were made for researchers, developers and practitioners. The first emergence of the mobile devices and later its adaptation by and proliferation in the society took only a short period. For instance, cellular mobile phone technology is regarded as one of the fastest adopted technologies in the history of humanity (Brian & Ben-Zeev, 2014). Being independent of time and space, these ubiquitous technologies allow individuals to access information, to communicate with others, to collaborate, to play games and to get connected to social networks (Altinpulluk & Kurubacak, 2016). Nowadays, as especially the smartphones and tablets are equipped with cameras, GPS, digital compass and various hardware and sensors, these mobile devices have been started to be used for different purposes than the communication purposes. Mobile technologies are used in a variety of fields and sectors, from education to business, from banking to tourism. The health field is only one of these areas. The intensity of usage of smartphones and tablets can be seen strikingly in various reports. The number of smartphone users is forecasted to grow from 2.1 billion in 2016 to around 2.5 billion in 2019, with smartphone penetration rates increasing as well. Just over 36 percent of the world’s population is projected to use a smartphone by 2018, up from about 10 percent in 2011 (Statista, 2017). According to a report of We Are Social (2017) “Digital in 2017 Global Overview”, 3,448 billion of the 3.773 billion active internet users are active mobile internet users at the same time. In the same report, the distribution of web traffics by the devices shows that mobile phones, 50%, and tablets constitute the 5% of the current web traffic. Reports in recent years show that smartphones and tablets will be even stronger and increasingly used in different areas. Mobile devices are also used in various forms in the health field. Within this context, a concept called mobile health (mHealth) has emerged. Various definitions of mHealth have also been made. mHealth is broadly defined as the use of mobile devices as a vehicle to provide public health or medical interventions (Arora, Peters, Burner, Lam, & Menchine, 2014). Mobile health is a newer concept that describes services supported by mobile communication devices, such as wireless patient monitoring devices, smartphones, personal digital assistants, and tablet computers (Weinstein et al., 2014). 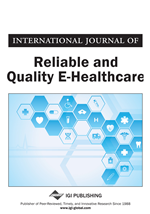 mHealth aims to capitalise on the rapid uptake of information and communication technologies (ICT) to improve health system efficiency and health outcomes (Agarwal et al., 2016). mHealth, a new paradigm of an emerging ICT artifact, transforms healthcare delivery around the world by making it more accessible, affordable and available (Akter, D’Ambra, & Ray, 2013). mHealth applications can be used for a wide variety of purposes such as smoking cessation, weight loss, diet and physical activity, treatment adherence, and disease management (Fiordelli, Diviani, & Schulz, 2013). The rapid spread of mHealth projects has created great enthusiasm among governments, and healthcare practitioners (Labrique, Vasudevan, Chang, & Mehl, 2013). With the increasing adoption of smart mobile devices and the continued development of mHealth applications and projects, the mHealth market is on the rise (Leijdekkers & Gay, 2013; Miller, Cafazzo, & Seto, 2016). Many reports have been prepared, which includes the utilization tendency of the mHealth that means the effective and efficient delivery of the healthcare services to the people by using the mobile devices. According to a study conducted in 2013, in the past five years, mHealth applications were downloaded to 50% of 3.4 billion smartphones and tablets that had access to mobile applications (Research2guidance, 2013). By the end of 2017, total mHealth revenues are expected to reach $26 billion (Research2guidance, 2014). These trend reports show that mHealth initiatives will increase day by day and invest more.